From Sony Classics comes another entry in the Herbert Von Karajan - His Legacy series. Each program presents viewers with one of the many performances by legendary conductor, Herbert Von Karajan, whose music career spanned more than fifty years. 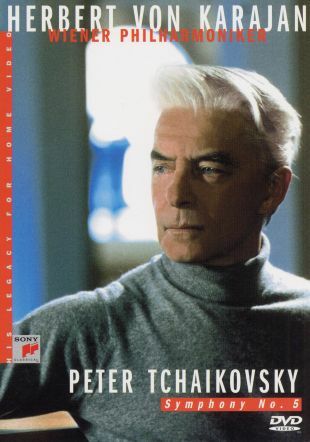 Herbert Von Karajan - His Legacy for Home Video: Tchaikovsky - Symphony No. 5 features Von Karajan performing Tchaikovsy's Symphony Number 5 in E Minor with the Wiener Philharmonic Orchestra in 1984 at the Grosser Musikvereinssaal in Vienna.